I recently wrote an article about the unique media designed by 5inch. Yesterday, I was clearing up some paperwork in my office, and found this CD artwork I designed for a local band a few years ago. 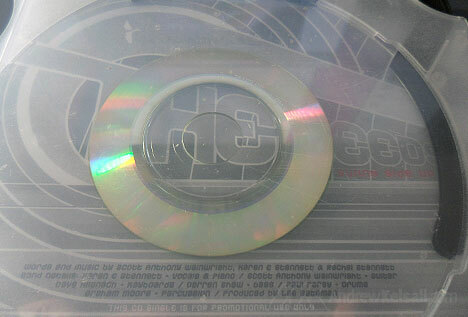 As can be seen, it uses a unique CD Jewel Case Design that houses a clear disc. The image above is the reverse of the jewel case, with another element of the design that shows through. 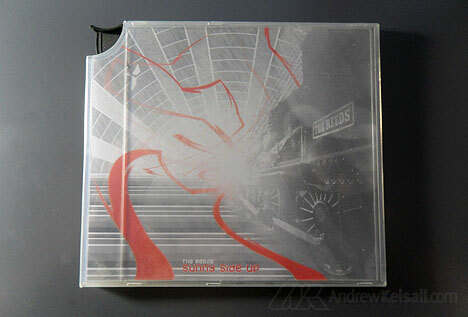 When the CD is “sprung out” of the case using the trigger, the rest of the design can be viewed. 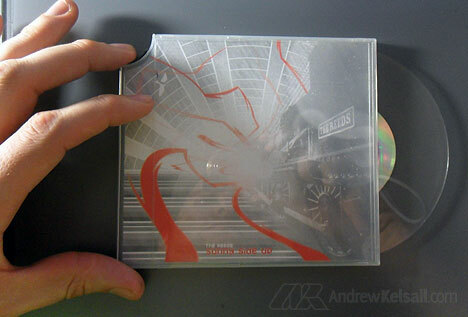 Have you designed CD artwork that uses a jewel case like this? Have you designed a cover that uses another unique-style of case? Great work! Where can I listen to the music of the The Reeds?